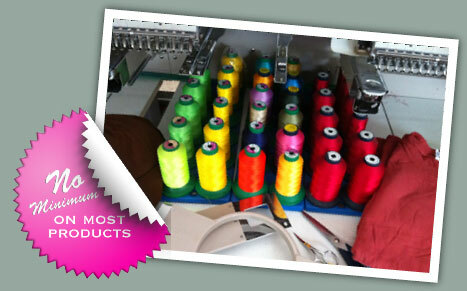 We are a full service embroidery and screenprinting company locally owned and operated in Del Mar since 1991. We can set up your art for you or help you create new art for your corporate logowear or team and school spiritwear. Please use the links below to preview available product. You will find all the popular brands of Gildan, Hanes, Jerzee, Anvil and Fruit of the Loom as well as Sport Tek, Port Authority, Devon and Jones. Alternative Apparel, Columbia, Adidas, Nike, Champion and Augusta. We also have access to a full line of Promotional Products such as Water Bottles, Travel Mugs, Pens, Key Chains, Coolers etc. If you do not see what you are looking for please send us an email.